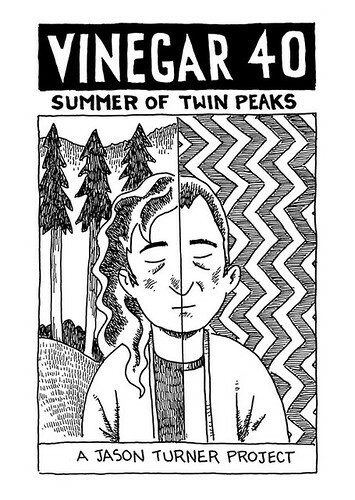 I haven’t been making much progress on comics, though I do have issue 40 of Vinegar almost ready to go. I drew the cover the other day. In October I had that spell of drawing old time-y stuff. 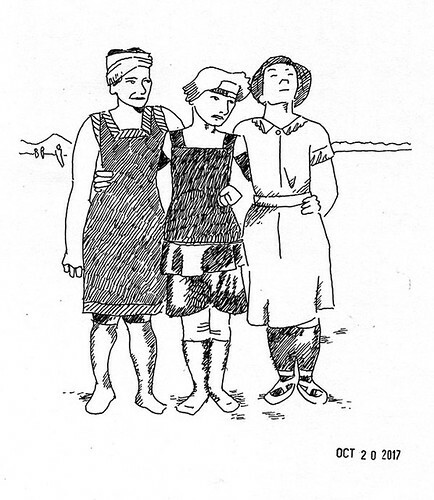 I drew these old time-y women in their swimming costumes. I was also reading a book about utopian communities in British Columbia The Promise of Paradise by Andrew Scott, and that got me thinking about the history of Vancouver. I occasionally think it would be interesting to try to do a comic set in the early days of Vancouver. 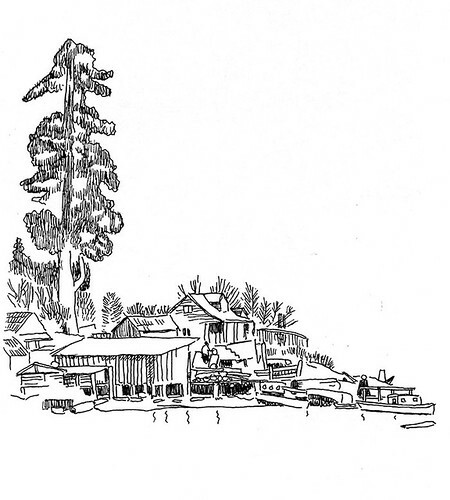 Here are some squatters’ shacks in what eventually became Stanley Park. 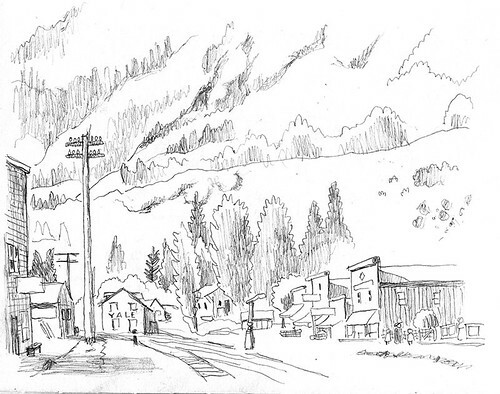 Here is the town of Yale, British Columbia, in its early days. 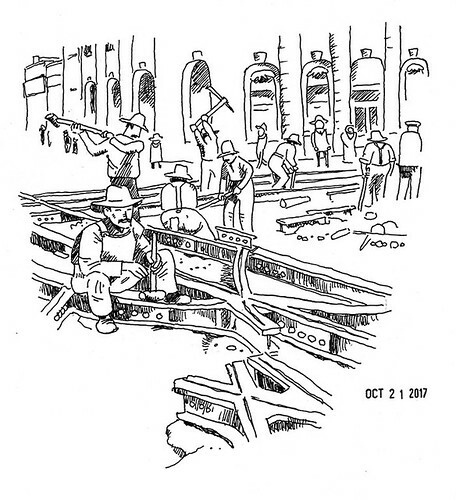 Here are some men working on the street car tracks at Main and Hastings. I was reading another book, State of Wonder by Ann Patchett. 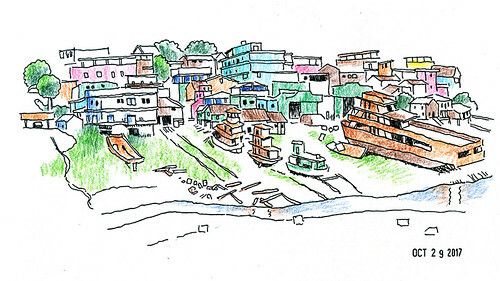 Most of the book takes place in the Amazon, and part of it took place in Manaus, so I got on the old Goog Street View and found this colourful scene by a dried up river. 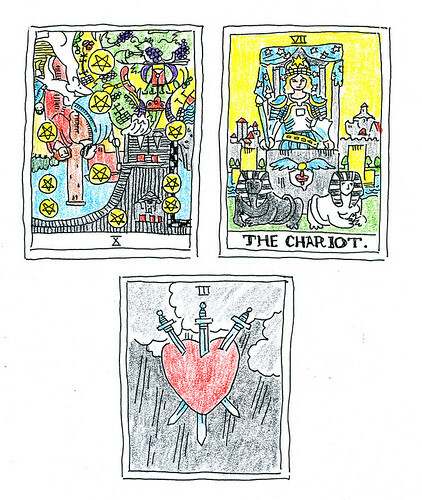 Once in a while if I am looking for something to draw, I will draw some tarot cards. There is a lot of crazy stuff going on in them, and it is an extra challenge when a card is upside down. 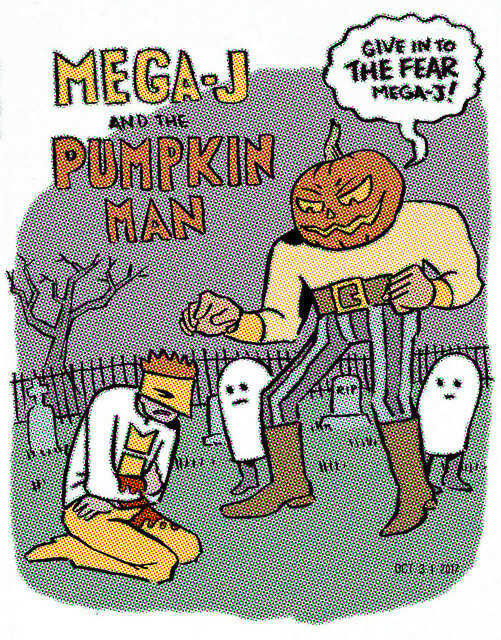 On Halloween I did not dress up as Mega-j, but I did draw this, inspired by the little pumpkin I carved. 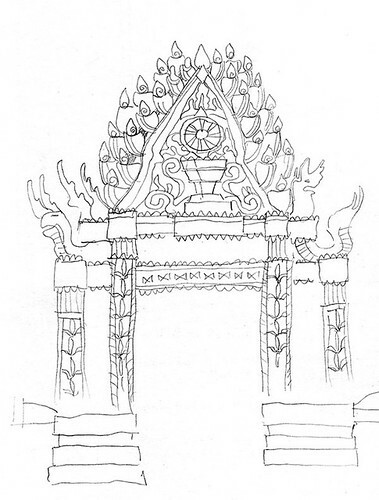 I continue to find temples and the such enjoyable to draw, with all the crazy detail on them. I forget where this gateway was. This is a gigantic monastery in Tibet. 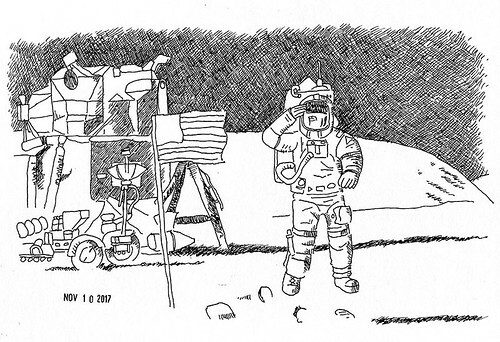 One day I felt like drawing an astronaut and found this jumping chap. I thought it was from the first moon landing, but when I went to check it turned out it was from the LAST moon landing, Eugene Cernan, the last man on the moon. Kind of crazy how brief a period that all lasted. I also enjoyed how clunky and non-sleek the landing modules were. 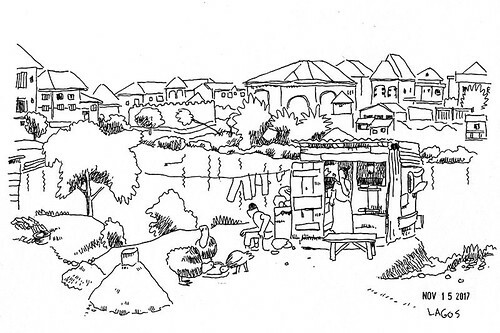 And lastly a shack by a river in Lagos, Nigeria, with big houses across the way. 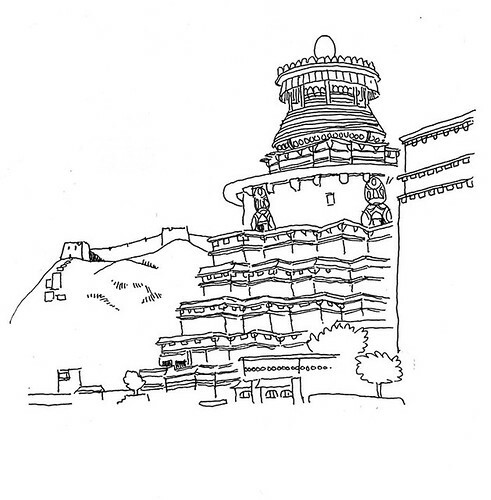 Yeah it is all temples and shacks for me these days.